(CBS/AP) SAN FRANCISCO - The mayors of San Francisco and Oakland, along with the National Football League, have called for an end to the recent acts of violence at sporting events. This comes after two men were shot and wounded following a San Francisco 49ers-Oakland Raiders NFL preseason game over the weekend. 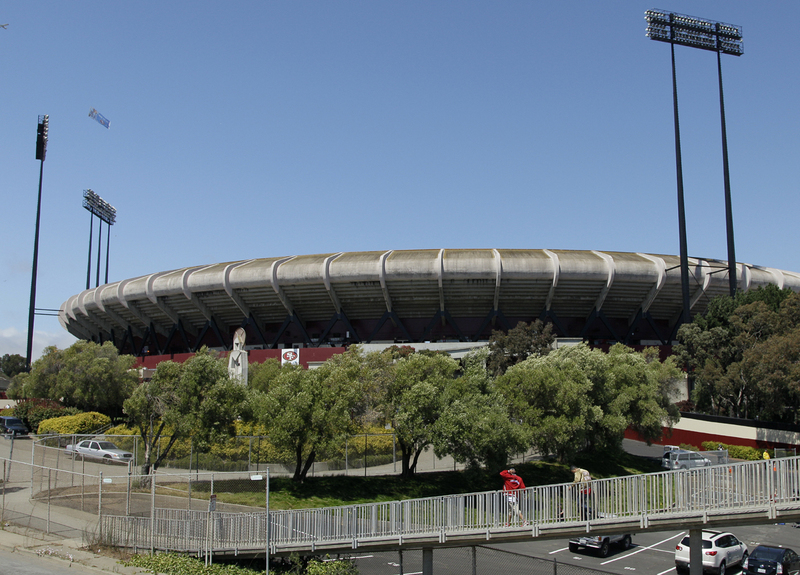 During Saturday's attacks, a 24-year-old man, who reportedly was wearing a "F-the Niners" T-shirt, was shot several times in the stomach in the parking lot at Candlestick Park after the game and remained hospitalized in serious condition Sunday. The second victim, a 20-year-old man, was treated for less serious wounds in a separate shooting, also after the game. Although no arrests have been made, Sgt. Mike Andraychak said police are looking for "a person of interest" connected to at least one of the shootings. He would not specify which shooting. Sgt. Frank Harrell added that the two Saturday shootings were being treated separately "but we believe they are related." Apart from the shootings, a third victim, a 26-year-old man, was also hospitalized in serious condition Sunday after he was knocked unconscious in a stadium bathroom during the game. That attack appeared unrelated to the other two, police said. The crimes prompted San Francisco Mayor Ed Lee and Oakland Mayor Jean Quan to issue a joint statement saying that violence at stadiums in both cities will not be tolerated. "The incidents ... are completely unacceptable and will be prosecuted to the fullest extent of the law," the mayors said. "Fans come to our stadiums to enjoy an afternoon of football, not to be subjected to intimidation or violence. These games are family events and the types of images we witnessed last night have no place in our arenas." NFL spokesman Greg Aiello echoed similar comments, saying "we deplore the activities of a handful of fans at last night's game and pledge our full support to Mayors Lee and Quan and to state and local law enforcement agencies." The attacks come nearly five months after San Francisco Giants' fan Bryan Stow was severely beaten by two men in Los Angeles Dodgers gear outside Dodger Stadium after the archrivals' season opener in Los Angeles. The two men charged in the beating, Louie Sanchez, 28, and Marvin Norwood, 30, have pleaded not guilty. Stow, 42, a Santa Cruz paramedic, suffered severe brain injuries and remains hospitalized in serious condition.